The Invisalign system uses a series of clear, removable aligners, to move your teeth over time to give you a great smile. The course of treatment involves changing aligners approximately every two weeks. These 'sequential plastic aligners' move your teeth into straighter positions step by step. Unlike braces, these clear aligners can be removed while you eat and brush your teeth. With Invisalign you will need to visit your orthodontist approximately every eight weeks for adjustments, to check progress and to receive new aligners to continue the straightening process. Small tooth coloured attachments will often need to be placed on some teeth to aid retention and allow the aligners to grip the teeth for some movements. The total number of clear aligners is specific to you and determined by the severity of the malocclusion and the goals of your treatment. It is not usually possible to determine the full number of aligners that will be needed until late in the treatment process. Invisalign is a particular brand of 'sequential plastic aligners' that is manufactured in North America. It is by far the most popularly used brand around the world and the one we use currently at Hills Orthodontics for more comprehensive treatment. There are a number of other 'sequential plastic aligner' systems available around the world which are available for both comprehensive and limited treatments. We have been using 'sequential plastic aligners' at Hills Orthodontics, for comprehensive treatments, since the year 2000, the same year Invisalign became available in Australia. Prior to that we were using, and still do use, sequential plastic aligners for more limitied treatments. These limited treatment aligners are produced in Australia by our local dental technician, and can be produced much less expensively. Limited treatment aligners can target the correction of minor tooth malalignments, such as minor relapse following the cessation of retainer wearing, either in one arch or both upper and lower arches. Invisalign sounds simple and easy, especially if all you read or listen to is the advertising hype. In reality to get an efficient and good result requires more effort and expertise than the advertising leads you to believe. The first step in undertaking Invisalign is to send an accurate impression or scan of the patient's teeth and bite, along with other records, to the company. With this should go detailed instructions about the objectives to be achieved and specific details about how and in what order those objectives are to be achieved. The Invisalign company then produces a digital plan of the movements they suggest should be undertaken to achieve the corrections required. This is called the 'ClinCheck' and the orthodontist then must make alterations to this ClinCheck making sure the plan of tooth movement is achievable and efficient. This is perhaps the most critical step in providing efficient and good Invisalign treatment and requires expertise that comes from treating a number of cases, over a period of years, not just a few a year. Similarly, as well with all orthodontic treatment, the adjustment of the aligners and the decision making regarding the progression of the Invisalign treatment requires expertise not only with the technique but with orthodontic principles that underlie such treatments. Even with such knowledge and expertise not all Invisalign treatments produce the expected and desired results. There are limitations with Invisalign and they may not be able to achieve the precise results that braces can. Sometimes a short course of braces treatment must be undertaken in conjunction with the Invisalign treatment, and both the patient and clinician must be prepared to do so. Invisalign is not suitable for everyone. Adults and older teenagers with less severe crowding, bite and alignment problems are often the most suitable for Invisalign treatment. 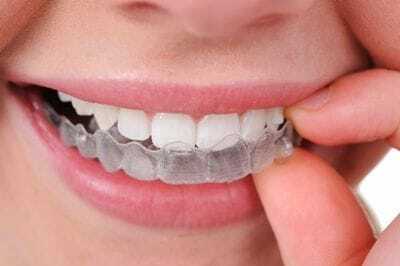 Invisalign will only work if the aligners are worn diligently and virtually on a full time basis, other than when eating and cleaning ones teeth. This treatment will not suit adults and teenagers who would find it difficult to keep up the routine of wearing the aligners for over twenty to twenty two hours per day. To maximise our expertise and the results we can achieve with Invisalign for comprehensive treatment, we at Hills Orthodontics have made the decision that one of our orthodontists, Dr Anita Bonic, will treat most of the Invisalign cases in our practice. If you are interested in undertaking Invisalign treatment please contact our practice to make an appointment for a consultation with Anita. Invisalign is a wonderful product for those patients who feel they cannot wear braces. At Hills Orthodontics we are strong proponents of the technique, even accepting that there are limitations, and feel that as the 'sequential plastic aligner' technique continues to improve it will be used more.